"How powerful are words? Do the words we hear, speak, accept and live by affect us as individuals? Is there a hidden power in words? Has anyone even considered how words define who and what we are? Is there a way that we can change the way we think, act, behave and react when we get caught up in a world of words? Is there anyone who stands innocent by what is known as the power of words? 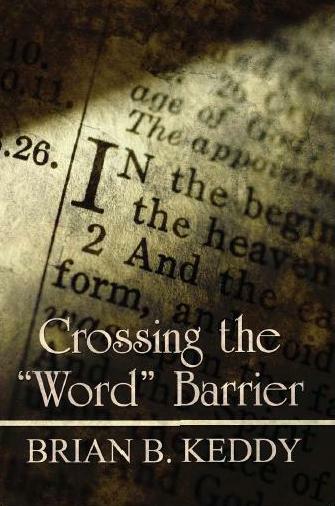 Crossing the "Word" Barrier is an important topic in which each and every one of us falls short in one way or another. From the beginning of time until today, words hold power, an incredible power and each word we have either spoken or that has been spoken to us affect us in one aspect or another. Whether the result be negative or positive we still remain affected and sometimes even rendered useless and to be meaningless in regards to our own personage and character. There is a solution and there is an answer. Let us take a journey on Crossing the "Word" Barrier and see if we can find and relate to who and to what we have done, spoken and received in order to become the very best or the very worst that we can be. Do we walk in knowledge or do we choose to walk with veil covered eyes and hearts living defeated and pointless lives that seem to knock us down and keep us down. There is hope, there is an answer and there is a very powerful solution."